Already have a Finale Inventory account? Designed to be flexible with scalability in mind. Built to solve YOUR inventory needs. Take the guesswork and busywork out of tracking your inventory. Instead, quickly get an up-to-date count for all your products in one place and easily control your stock in multiple warehouses. With advanced order management capabilities, quickly create purchase orders in minutes. Prevent costly stock outs by setting reordering thresholds. Or let Finale automatically calculate dynamic reorder points based sales velocity and your inputs – supplier lead time, desired safety stock, and expected sales growth — to make smarter, faster purchasing decisions for restock forecasting. Email Notifications are sent to remind you when it's time to reorder. With 20+ 3rd party integrations, keep all of your listings' inventory counts on eBay, Amazon, Etsy, and other selling channels accurate and up to date. Auto updates are made to the selling channels within five minutes of any stock change to prevent overselling. Finale has comprehensive out-of-the-box barcode inventory management solution designed to increase warehouse productivity and can be implemented without a team of expensive consultants. Advanced batch picking processes such as wave picking and "pick and pack" will improve the order picking efficiency while mitigating costly picking errors. Centralize your inventory across multiple channels and warehouses. Stock changes made in Finale’s inventory software gets updated instantly to all added selling channels. Powerful reporting engine provides many customizable reports to allow you to get the ideal reports to quickly make business decisions. "Finale has been a perfect solution for our growing business. Our business manufactures items that require assembly and kitting. Finale's ability to manage and track each component individually as well as when complete kits are sold is very advantageous for our business. "Manscaped has using Finale for two years now, and it has never let us down. From production to distribution Finale handles it all. Set up & integration was quick and seamless and I could not be happier with the ease of use and reporting. The outstanding support I receive from the Finale team has made me a raving fan!" "Before finding Finale Inventory we were having major inventory control issues. 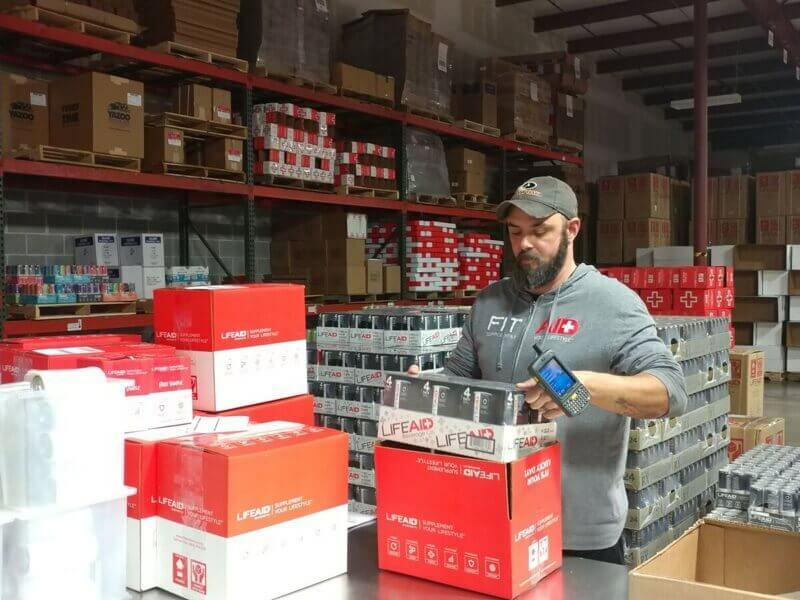 Managing inventory at our 10 warehouses was a challenge but Finale Inventory's simple, easy to use platform was quickly able to solve all of our inventory control issues.They are a big reason why we continue to move up the list of America's top 500 growing companies." "Finale Inventory changed everything for our company. Instead of having to spend hours tracking parts and pulling together orders, we are now able to monitor everything simply using a mobile barcode scanner and a computer. On top of that, their customer service and technical support team has been phenomenal, as it has allowed Finale to change and adapt to our specific industry and company needs." Finale Inventory integrates with 40+ platforms and we are adding more all the time! Training and consulting included at no extra cost. We have collaborated with thousands of companies over the years, and the one commonality is inventory management slightly different for every company. As a result, Finale is designed from the ground up to be customizable and versatile for YOUR workflow and YOUR processes. We accomplish this by assigning a dedicated account manager to each account. Their primary goal is LISTEN to better understand your requirements, provide recommendations, perform any necessary customizations, and train you to how to use and be empowered with Finale with the goal of getting you up and running as quickly as possible. Best of all, this service is included each paid plan. There are NO additional set-up fees, training fees, or other hidden costs.